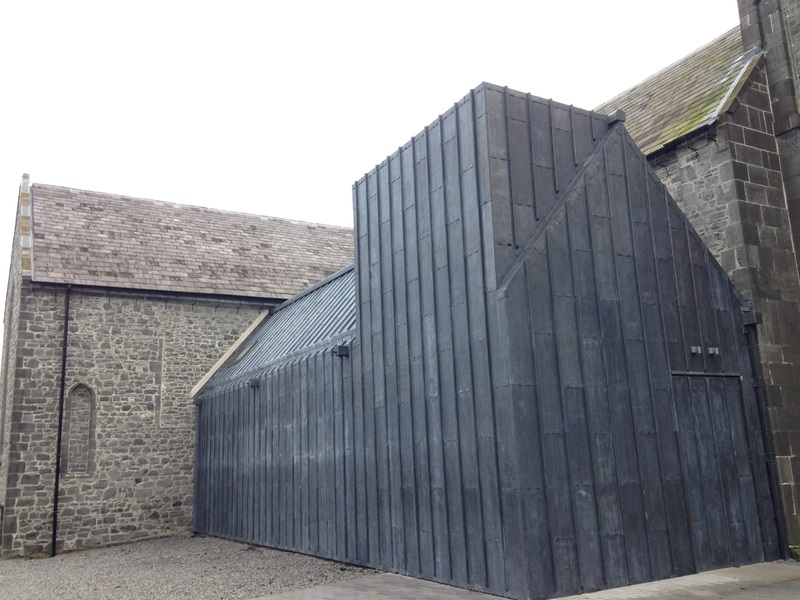 Is this new museum Ireland’s best medieval restoration? 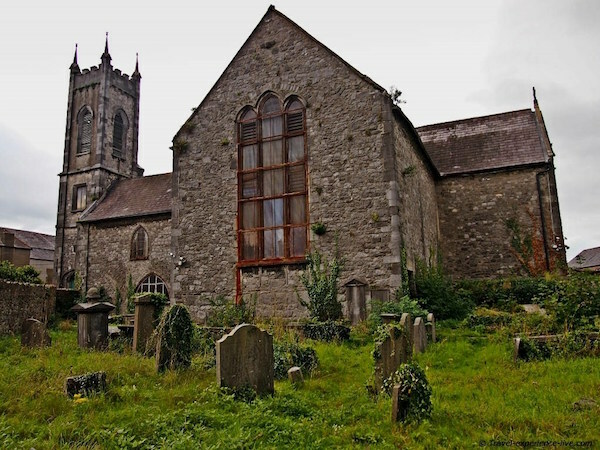 St Mary’s Church and graveyard has a long and chequered history. Built around 1205, it was the heart of medieval life in Kilkenny for centuries. Throughout the Middle Ages town meetings were held here while generations of townspeople were buried in the crypts, ornate tombs or mass graves (depending on what you could afford). 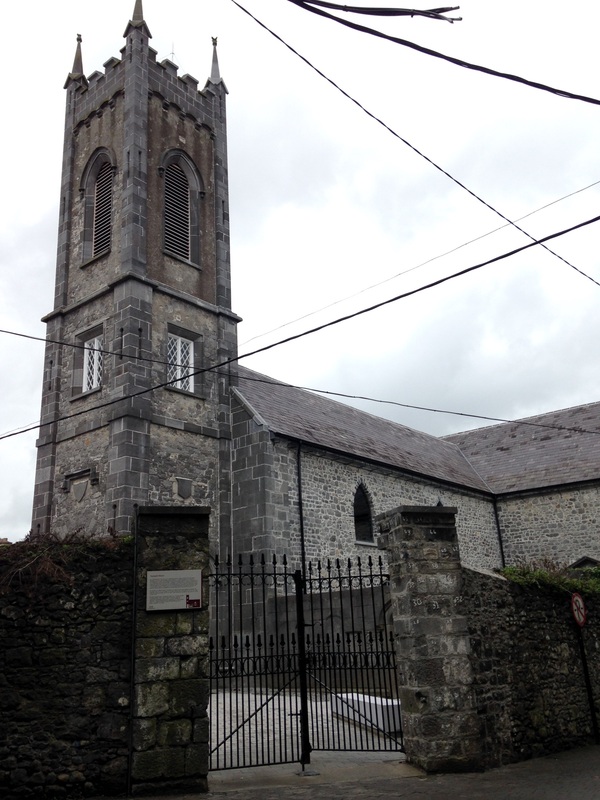 St. Mary’s, like many of Kilkenny’s buildings, proved remarkably durable over the centuries. Despite the efforts of numerous armies, not to mention Oliver Cromwell who blew one side off the nearby castle in 1650, the church remained in use right up the mid 20th century. Then in what seemed a cruel twist of fate, it was during the most peaceful century in its long history that St Mary’s appeared to be finally approaching it’s demise. The last religious service took place there in 1951. A few years later after 750 years as a church it was deconsecrated. 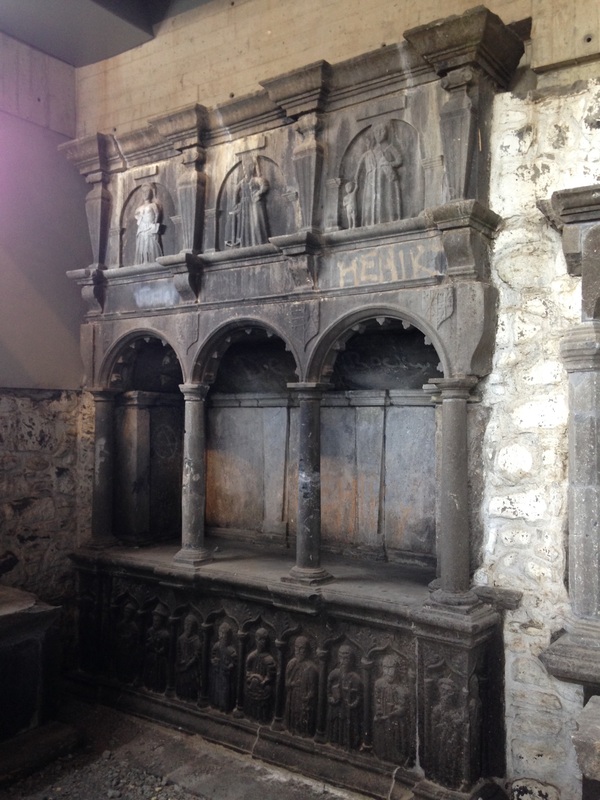 In the following decades while many of the surviving medieval buildings in Kilkenny were restored, it lay neglected. The question of what to do with vacant churches like St Mary’s is one that has plagued planners and architects alike. There have been some pretty questionable attempts to rejuvenate these buildings. Personally I think there is something not quite right about St Mary’s Church in Dublin which was converted into The Church bar. 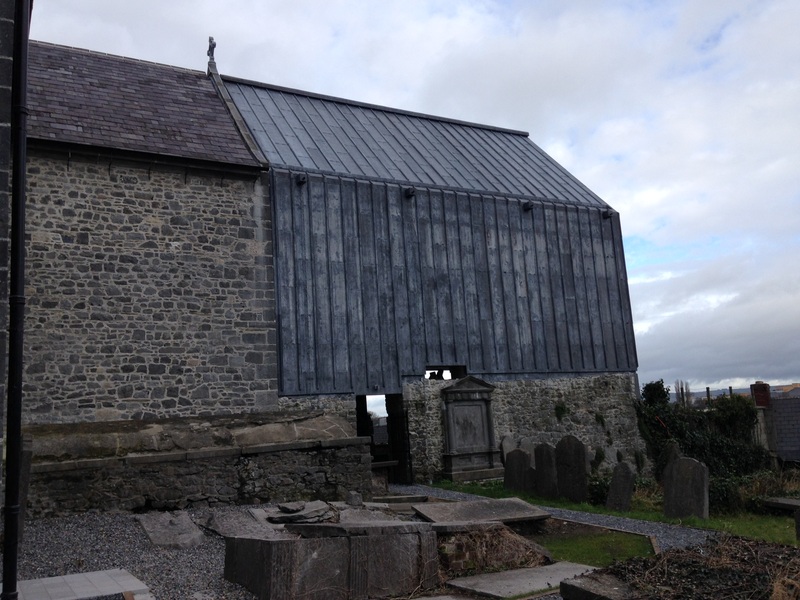 By 2000 St Mary’s in Kilkenny appeared to be slowly disintegrating. The churchyard overtime became a car park. Teenagers found the medieval grave slabs an ideal place spot to have a few cans far form the prying eyes of parents and the Gardai. The ancient tombs were increasingly defaced with graffiti. Internally the church itself was falling into disrepair. It had never been redeveloped as such. It slowly morphed into a warren of rooms that even included a badminton court. By the early years of this century it’s fascinating history was totally obscured and the future of the building was far from certain. 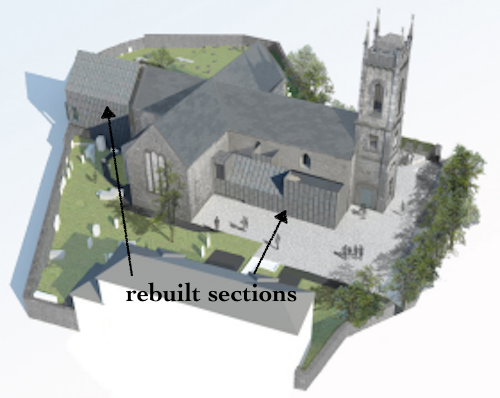 Finally a few years ago plans were announced that a major restoration would go ahead to transform the church into a much needed museum for Kilkenny. 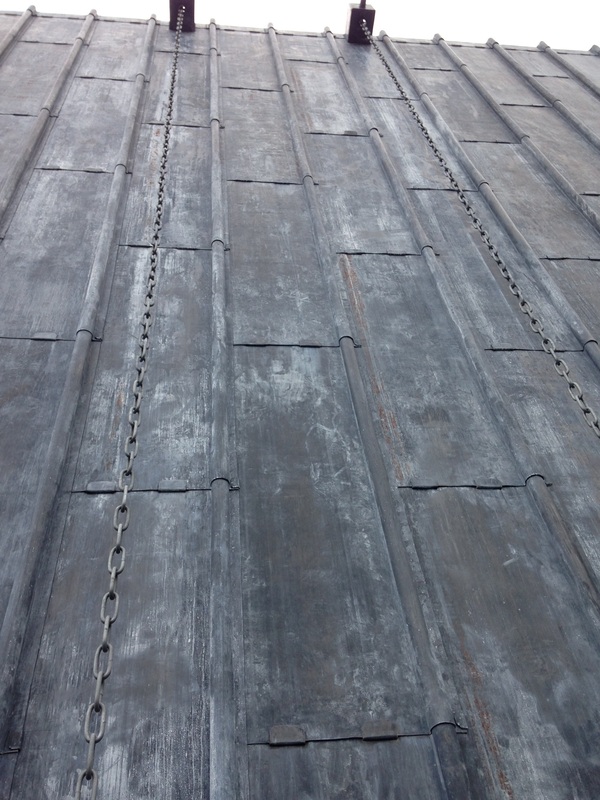 Restoring any old building is notoriously difficult to get right and St Mary’s was as difficult as they come. The plan’s for St Mary’s were certainly brave. When described out of context they sound controversial to say the least. Given the medieval church was larger than the current structure the restoration involved rebuilding parts of the original medieval church. While this in itself is controversial, some of the restored sections were to be raised off the ground and then covered in lead! This was surely the stuff of outrage leading to endless columns in local newspapers? The completed renovation is a remarkable achievement. Not only does it work but it’s ingenious. 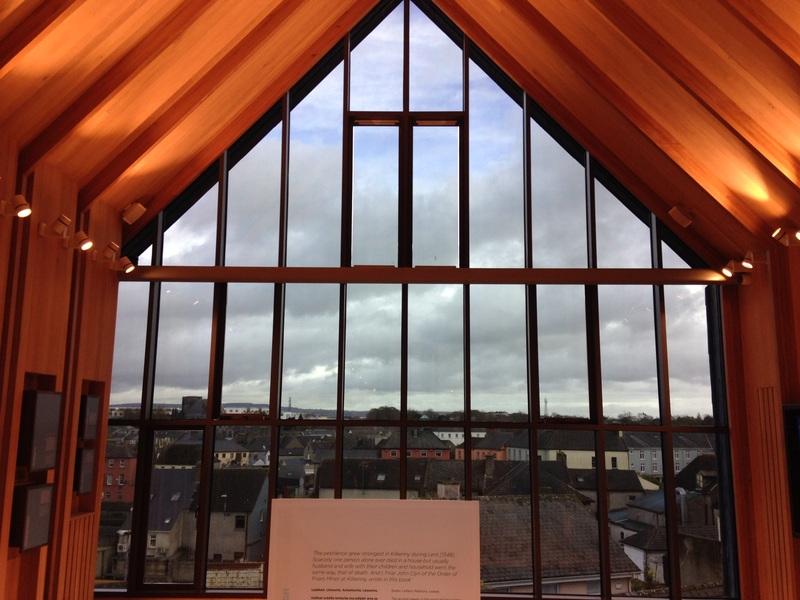 The restored St. Mary’s now not only houses the Kilkenny museum but the building itself is one of the key attractions. Two sections of the old medieval building were reconstructed. These were the northern side isle and the chancel (the part of the church traditionally around and behind the altar). Both had been demolished over the years. These are elegantly integrated into the existing structure. The original arches that once connected the side isles to the church which had been partly bricked up have been reopened. You can now move through the building in a similar way to our medieval ancestors. This houses several displays (below). The arches to the left are those which had been partially blocked up after the original side isle was demolished. The reconstruction of the chancel is the most impressive feature. After the original chancel was demolished a few centuries ago, the area was subsequently covered in funerary monuments and graves. Rather than move these the reconstruction was raised off ground level so you can still move through the graveyard beneath it. 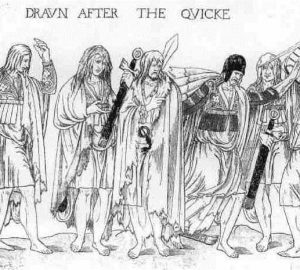 The use of lead to surface the reconstructions works really well. While it’s immediately obvious what is modern and what is original, the lead blends in neatly with the original stonework. My favourite feature is the use of these chains to carry the water from the roof into drains below rather than drains pipe which wouldn’t fit with the aesthetic. 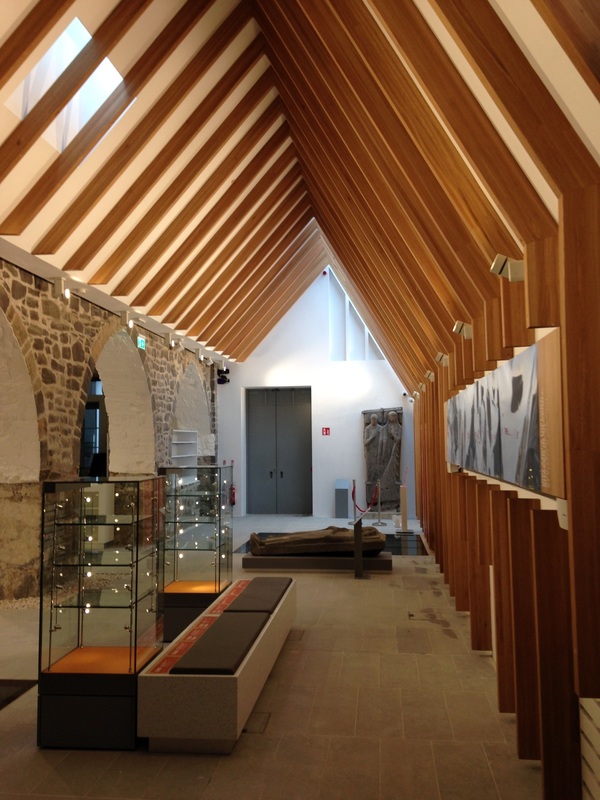 While the building alone makes the museum worth visiting, the exhibitions inside bring medieval Kilkenny to life through the use of original artifacts and innovate use of technology. 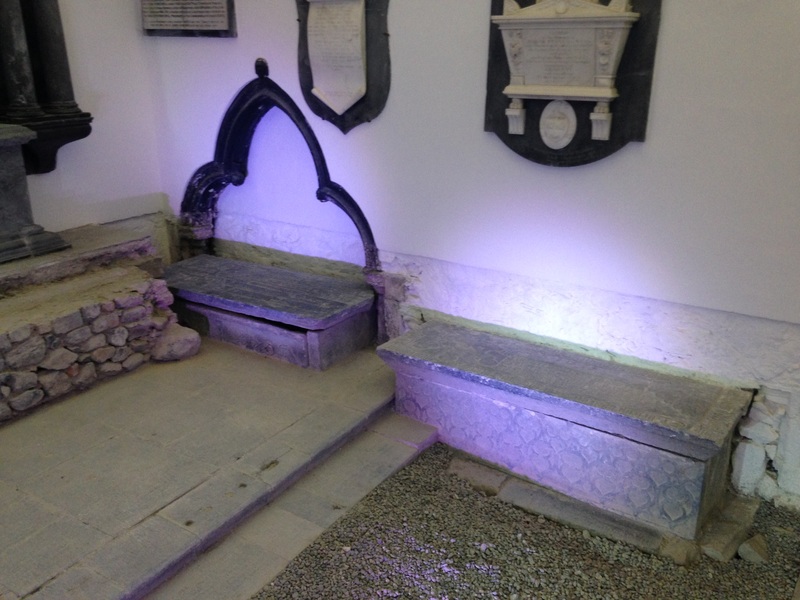 The excavations carried out on site turned up immaculately preserved funerary monuments that were buried beneath the floor of the church, not to mention the several bodies discovered in a mass grave at the entrance to the churchyard (these will eventually be on display). 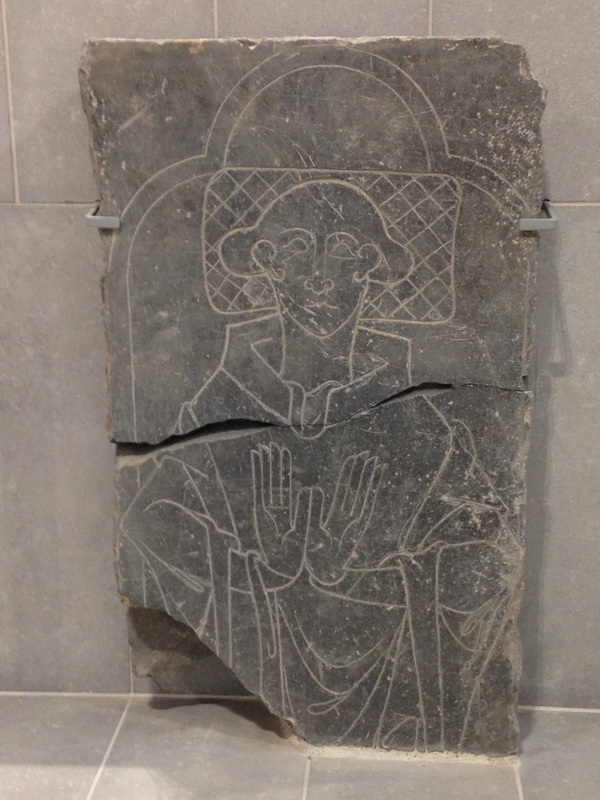 Other archaeological discoveries from Kilkenny (like this carving) are also housed in the Museum. In the northern transept the feel of an archaeological excavation is preserved in the layout here. The various stone slabs illustrate the development of the church (and the rise in floor level) over time. The impressive reconstruction standing over the graveyard houses the ‘Kilkenny Room’ which displays some of the most important documents from Kilkenny’s history. 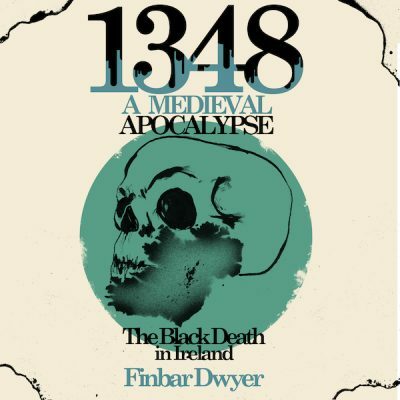 They will include charters from the Middle Ages, the sword and mace of the city and the Liber Primus – a record of time life dating back to the 13th century. The entire east facing wall is glass with amazing views over the city. While the restoration alone is worth seeing, the attention to detail and accessibility of the exhibits is impressive. You could literally spend hours on this huge touch screen map of medieval Kilkenny (it measures about six metres by one metre!). 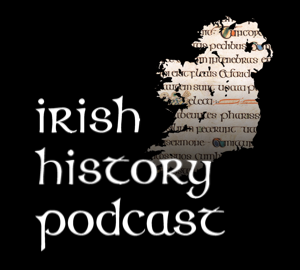 Kilkenny’s Medieval Mile Museum opens on 28 February 2017. It’s only €7 in and is a must see if you’re in Kilkenny.